Stand out from the crowd with the Craze Racquet Bag in bold prismatic colors. With ultra-reflective holographic patent leather, the Craze bag not only makes a strong statement, it's built to last through the toughest playing and travel conditions. 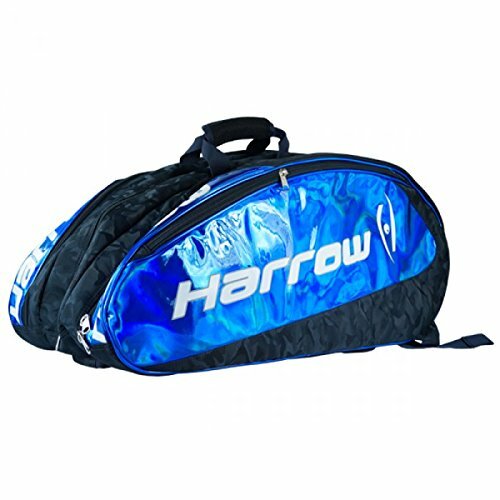 It features thick padding with three oversized pockets for all of your racquets, shoes and clothing along with a side compartment for other essential accessories like goggles, balls and phone. The Craze can be worn as a backpack or carried by hand straps. If you have any questions about this product by Harrow, contact us by completing and submitting the form below. If you are looking for a specif part number, please include it with your message.